I absolutely loved every page of this book. I’m giving it 5 SUPER steamy stars! Ethan is the owner of a sports agency and a total d-bag to his employees and pretty much everyone else in his life, especially in the beginning. Then enter Jenny. Jenny’s a huge baseball fanatic and developed this love watching and learning baseball with her father. Now, her father is terminally ill and Jenny needs a new job to earn an income that will support his care. She’s applied at Ethan’s company and after an intense meeting, lands the job… the attraction between the two is off the charts, but Ethan can’t let anything happen between the two on the chance that his staff will find out and see him as being weak. But, Ethan can’t get Jenny off his mind and the two begin a crazy rollercoaster of a relationship. This is one of those books that will have tears streaming down your face from laughter one page and then crying for totally different reasons the next. It’s emotional, drama-filled, and just awesome. I can’t wait to read more from this author! Side note – I’m completely obsessed with Matt, Ethan’s best friend, and Kelsey, Jenny’s best friend getting their own story… so fingers crossed! This is a fun read – which is not too demanding, the writing flows very smoothly and the plot is not unfamiliar. The setup works well, and whilst their behaviour in the office would send an HR manager into a tail spin, it was amusing to read. Matt was the unsung hero, and I rather hope that this becomes the first in a series, as there were a number of characters who deserved a happily ever after too. What I really liked was that Jenny and Ethan came from the same place – and once they worked that out, they understood each other so much better. A worthwhile read, thank you Ms. Howell. 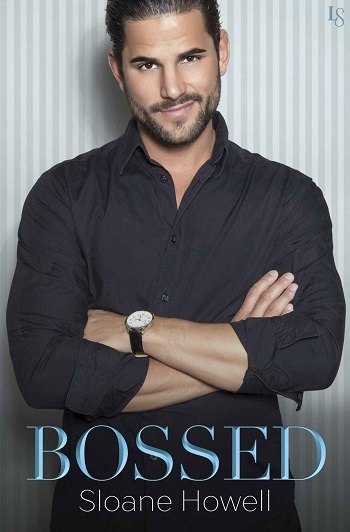 Reviewers on the Wicked Reads Review Team were provided a free copy of Bossed by Sloane Howell to read and review.